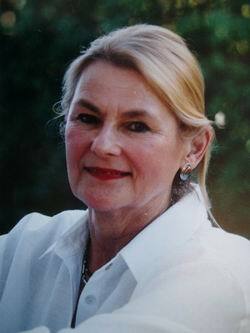 Doris Kaminski was born in New York City and spent her early years on Long Island. She attended the University of South Carolina before coming to live permanently in Australia in l968. She spent ten years at Nowra on the lush South Coast, painting that wonderful landscape. Early in her career she lived in England for two years, first in London and later in a thatched malt house in Kent. It was during this period that she had an opportunity to travel and paint in Europe and she held an exhibition of her work in U. K. She studied at the Morley College in London and at the Maidstone School of Art in Kent. For many years Doris worked exclusively in oils, but after much experimenting she found herself to be more fluent in acrylic, pastel and gouache. She enjoys the immediacy of the water-based media and the soft harmonies of pastel and often uses them in combination. Recently acrylics seem to have become the favoured medium. Doris's work is charming and individual and she is able to transform every day situations into exquisite works of art. Doris's works are in many important private collections in this country and overseas. She travels annually to New York and visits the many wonderful galleries of that city to gain inspiration. Doris has completed an important commission of works for the Netherlands Merchant Bank ABN AMRO. She exhibits her work in Sydney, Brisbane and in Victoria. She is a Fellow of the Royal Art Society of New South Wales and was the winner of the Award of Distinction given by the Society. In 2002 she won the North Sydney Art Prize for best work on paper and a major painting was selected to hang in the Mosman Prize. Recently, Doris was Artist in Residence at the Renaissance Sydney Hotel as well as on the Norwegian Star Cruise Ship. She conducts workshops, has been chosen to judge art exhibitions and teaches privately. She has also tutored at the Combined Art Societies, Art in Action at Kurrajong.